The Egg Toss is the highlight of a picnic we go to every year. Teams of two line up in two long rows, facing each other. On command, one team member tosses an egg to the other (hence the name). Here’s where it gets fun. Before every turn, the team members have take one step back, getting farther away from each other. As the distance grows, it gets harder and harder to catch the egg without it cracking open. The last team with an intact egg wins. Last night, Summer compared herself to the egg in the Egg Toss. Yesterday was huge for us. We found out that Summer’s main tumor and the tumors on her spine were showing up dead on her PET scan. Amazing and fantastic news for a girl who has come so far. But before we could get all that awesome news came trauma to get that PET scan. You need an IV and that turned into a hellaciously and painful ordeal for Summer. It took three different technicians prodding her with a needle six times to get the IV into a vein properly. Getting just one IV is painful. Getting the equivalent of six in an hour is excruciating. By 10:00am, she had cried off all her mascara, and her arms ached. So it was no wonder that Summer had a meltdown last night. She was scheduled for a CT scan in the morning, and she would need yet another IV…with an even bigger needle. Sobbing, she said she just couldn’t do it. She said she was like the egg in the Egg Toss. 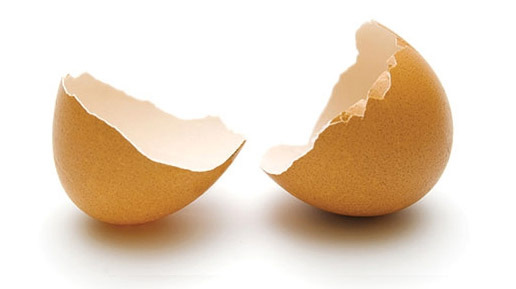 The egg gets tossed around, suffering immeasurable fractures and dings, until finally there’s a breaking point. She said her egg had broken. Unsure of the ramifications, we knew what we had to do. We sent out emails at midnight canceling Summer’s CT scan. Today, we got two signs from the universe that we had done the right thing. Early this morning, Summer’s step-mom, Cynthia Gentry, went to the clinic to make sure the staff knew that Summer would be a no-show. While she was waiting, she overheard something that stopped her in her tracks. A nurse was trying to explain to a Spanish-speaking woman that she had brought her 14-year-old granddaughter to the clinic on the wrong day. Her appointment for a CT scan had been last Thursday, not this Thursday. Pleading in broken English, the grandmother was saying that they had driven all the way from Mexico, and they could not come back another time. The nurse was saying she was sorry, but the CT schedule was full. With Summer’s schedule in her hand, Cynthia quietly approached the nurse and told her that she had come to cancel Summer’s CT appointment. It took a minute for the nurse to get it, but then the light dawned. Her whole face lit up as she said, “Oh, this could work!” She grabbed Summer’s schedule and disappeared in the back. We learned later that the girl from Mexico was able to take Summer’s slot. The second sign came later in the day when we came in for a doctor’s appointment. A small boy was having a temper tantrum in the waiting room. It was the five-year-old version of what Summer had gone through the night before. “No more doctors, no more doctors,” the boy was shouting as he was hitting at his father. Summer understood. His egg had broken. Summer found a way to approach the boy’s parents and share her own experience. Using 16-year-old words, Summer was able to tell them what their five-year old was feeling – what it’s like to be the egg and how sometimes you just need a rest and that’s okay. If Summer had never melted down last night, she would never have been able to help that boy’s family today. And we can tell that our little egg named Summer is already reforming, rebuilding. Her CT scan has been rescheduled for a week from now, and we have no doubt that she will find the strength to handle it. Love you, come home soon. just gives me tingles and warm feelings to see magic at work here; keep tossing your eggs Summer – there are so many who will be empowered by you.